Reservations and supplies are charged at check-out; everything else is charged at point of service. We professionally package large, awkward, fragile items; John’s Moms provide personal packing. Schlep your stuff to us . . . or let us do it for you! See options for getting stuff to JPS in the section below. PLEASE CLICK HERE FOR THE ANSWERS TO ALL YOUR QUESTIONS! Personal pickup and supply delivery also available for these locations before and after the stations open. There are three ways to get your belongings to John's Pack & Ship. The UM continues to choose JPS. We maintain strong, positive relationships with the housing department; they call on us to help students not only at move-out and move-in but whenever they face unexpected challenges. JPS is located just a short distance from the University of Michigan. At move-out, we’re on campus all day. During finals week, we also set up stations in selected dorms, serving students right in their own lobbies. We sell the best boxes around, specially made for us. We professionally pack large/fragile/awkward items for safe handling. We even offer a premium packing service, John's Moms, to help students sort, purge, and pack up their belongings. When we need extra help during our busy seasons, we reach out to family and friends and only hire people we know. You can trust our team to be courteous, honest, and willing to go the extra mile. JPS is a family business. We work side-by-side with our team. Most important, when issues arise, we are on the ground in Ann Arbor, accessible and attentive to the needs of students and families. JPS is an Ann Arbor concern, started by UM alumns: we are not a chain. We listen to our customers' ideas and take their feedback very seriously, as we strive constantly to improve our performance. John's Pack and Ship has been serving Ann Arbor and the University of Michigan for two decades. 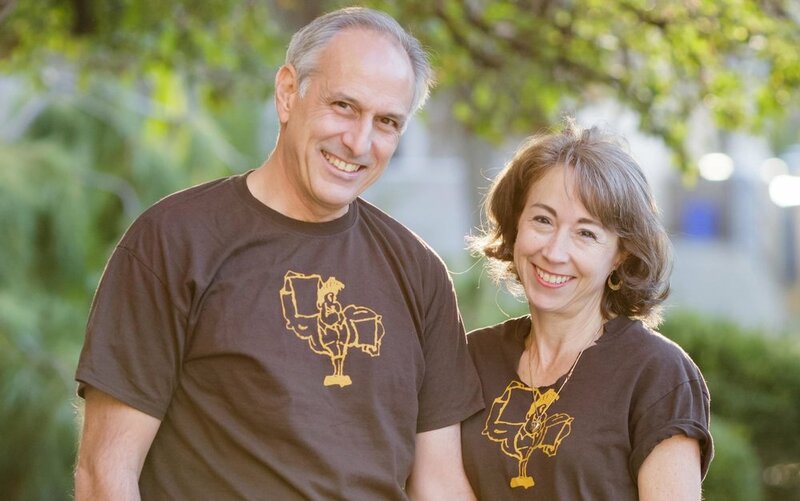 As Michigan alumni, John & Michelle Kazanjian know first-hand the needs particular to Ann Arbor's campus. And as parents of five daughters who have attended six out-of-state schools (so far), they also understand the stress of moving kids long-distance.